In IT, everything can happen, including the fact that it will be forgotten, which should not be forgotten. For a variety of reasons. Loss login and password with administrative privileges on the storage is a very serious situation. 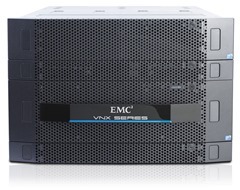 In this post I will explain how to recover the appropriate permissions on the EMC VNX Block. 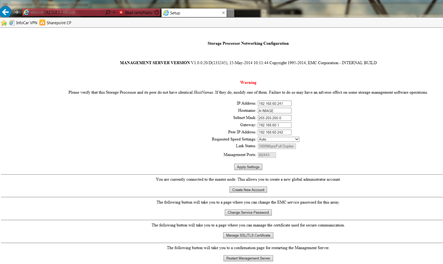 If our VNX storage includes NAS (Celerra), the whole procedure is quite simple (if we remember login and password for the nasadmin). 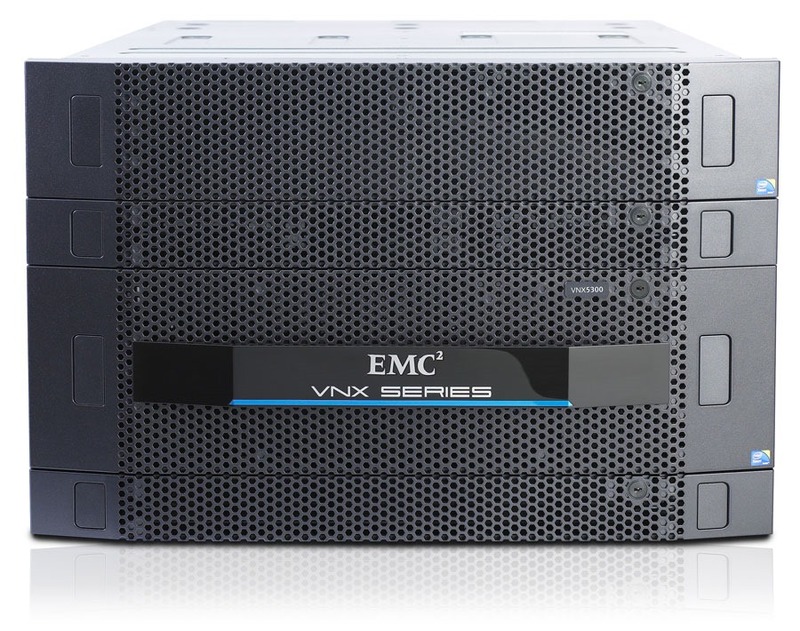 If we have only the VNX Block, the procedure is more complex, come as easy (takes about 30 minutes). Firstly, we need to have EMC cable Micro DB9 to COM. Secondly, VNX is a storage based on Windows system. 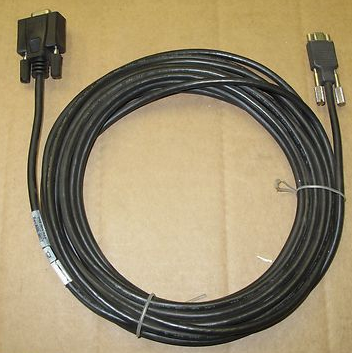 There is no way to simple statement of the COM connection to the console, we need to call to it (PPP over communications cable between two computers). The exact procedure on a variety of Windows can be found here (login: clariion password: clariion!). When connection is established, you have IP 192.168.1.2 and storage have 192.168.1.1. Go to http://192.168.1.1/setup page (connect to the SPA). On this page you can add a new user with administrative privileges. 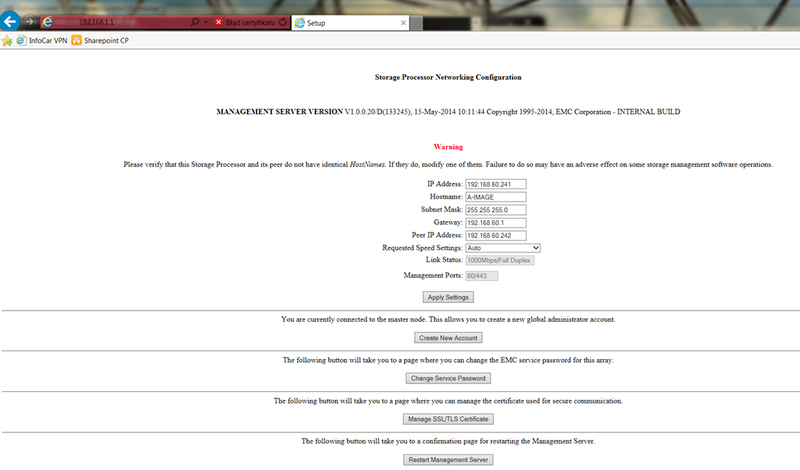 After the restart setup page should be opened easily (otherwise, contact EMC support).